Christmas may still be yet to come but soon it will be 2015! P&O Ferries takes a look at all that you can get up to bringing in the New Year in Brussels and what not to miss if you find yourself taking the overnight ferry from Hull to Zeebrugge in 2015. If you are planning to ring in the new year with a bit of excitement then why not travel to the continent and live it up for one night only in Brussels? 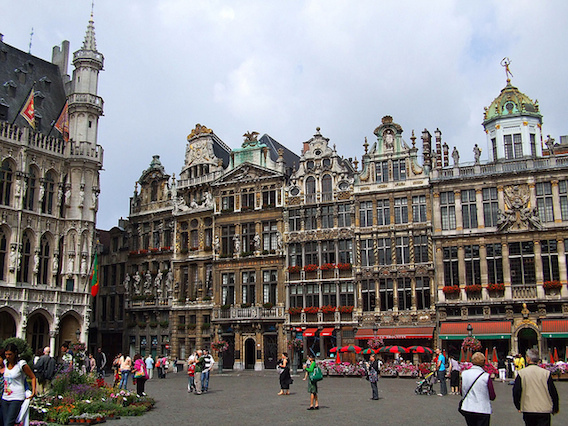 The Grand-Place is the place to be – book ahead and don’t get waylaid by the crowds. A big countdown clock is projected on the Place de Brouckere starting at 6PM to start it all off so get there early and pace yourself! The midnight fireworks will be fired off from Mont des Arts if the crowds at the main hubs (Grand-Place and Bourse) then at least you’ll know which way to be facing. New Year’s always brings high hopes and to avoid having them dashed plan your journey out. The metro and street cars will be available until 2AM and there’s a night bus service from midnight to 5AM so make sure you get back safe. If you are focussing on Christmas for the time being then you can celebrate in Antwerp. Their Christmas Market stays open until 15th January 2015, you could miss the big day entirely and still manage get in to the spirit in Belgium. The opening part for the Antwerp Market is on Saturday 6th December and you’ll be able to look for festive fun at Groenplaats, Handschoenmarks, Grote Markt and Suikerrui. 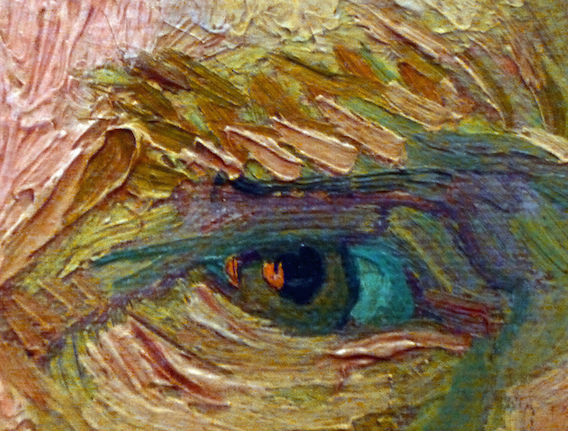 Beginning late January and open until May 17th 2015 the Museum des Beaux-Arts in Mons will be home to an in depth collection of Van Gogh works, letters and sketches. Normally we would recommend a trip to the Van Gogh Museum in Amsterdam but the Mons museum is being loaned an amazing selection of correspondences between Vincent and his brother Theo, some of which hint at the life he might lead as an artist. The exhibition is called Van Gogh in the Borinage, the Birth of an Artist. One of Belgium’s main pleasures for winter tourism is the setting itself. As a relatively small country it is steeped in a historical heritage that so well preserved the major cities themselves are immersive to the casual wanderer. We have spoken before the beauty of cities like Bruges in the winter. The winding avenues and canal network perfect for a brisk winter walk only to be topped off in a cafe with a locally brewed ale. 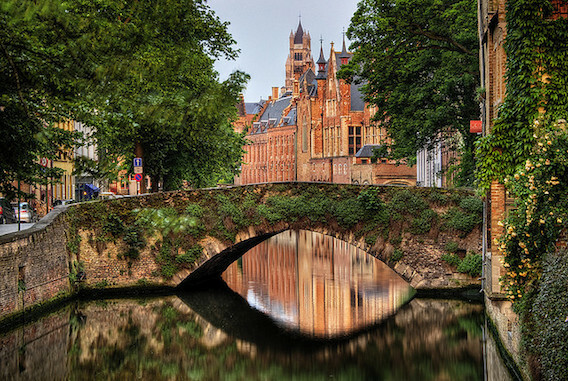 Bruges is home to many world heritage sites, a guide book and a sense of adventure will be the making of your trip. Real joy can be found discovering the small churches with long histories. The city itself is postcard like from wherever you choose to cast your eyes adrift. The port city Zeebrugge, where your P&O ferry will land mostly comes to life during the summer when the fish markets are in full swing and the beaches drawn in crowds. For winter travellers though this is the ideal opportunity to see the bones the of the city. Travel the roads that the summer crowds love and Belgium in the heart of winter. It’s a thoughtful time of year, a time to spend with the ones you love the most. Cities like Zeebrugge can draw people together because there’s less of the bustle. P&O Ferries offer a 2 person return deal with a car from Hull to Zeebrugge, Belgium with an ensuite cabin for just £149!